Blame work. Blame uni. Blame NaNoWriMo. Blame me and my laziness. Whatever your blame of choice, I have been once again entirely lax in my updates on what you should and shouldn’t partake of in the comic book world. I have allowed weeks to pass without recommendations affirming and refuting the choices you all have before you, and as a result I’d be fairly certain at least one of you has accidentally purchased a dud book in the last month because I wasn’t here to tell you otherwise. Why, yes, I do have an overinflated opinion of how useful my comic reviews are. At least I’m self-aware enough to be upfront about it. Rather than deluge the lot of you with several dozen posts about what I’ve read recently – and trust me, I’ve read a lot recently – I thought I’d rely on a similar structure to the good ol’ Indie Roundup from last year that worked so well and just give you the greatest hits. Most of these are either quite good or decent enough to not warrant a thousand words on why you should buy them, so if I seem to focus more on negatives then keep in mind that I recommend all of the following texts for public consumption. If you’d rather put your money towards something worthwhile, why not donate towards stopping ebola instead? The only reason this gets a mini-review here, when I’ve had a track record of covering most of the Snyder Bat-run thus far, is that there’s nothing I can say about it that I didn’t already say about its predecessor. Artwork is visceral and gorgeous, dialogue is tight and engaging, the story is well-paced and the underlying message of hope through terrorist adversity is welcome, if a little on the nose at times. 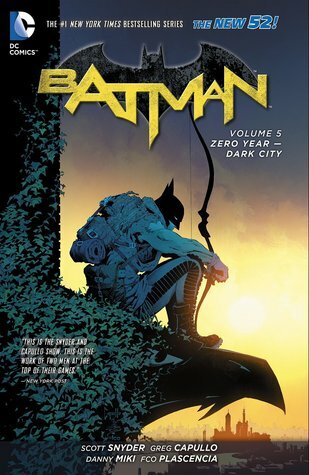 Where the book falls down only ever so slightly is in the first third or so that largely eschews the Riddler-centric plot that kicked off Book 1’s cliffhanger. Instead we’re treated to a new villain who looks like Skeletor became a bone cancer victim, and while his plot is intriguing it feels only tangentially linked to the shenanigans Edward Nygma’s at the head of until a rather excellent series in the book’s middle. However, me saying that first third is a problem is like saying the maple leaf shape in your coffee foam is missing a couple leaves; the coffee is still damn delicious, and the book is still quite excellent. Now for another six month wait before the next volume. Joy. Change is not always a bad thing, even when it happens to something that’s already good. You might be wary when an author with an excellent, consistent run decides to reinvent the wheel – why fix what ain’t broke? – but sometimes you’d be gladder to see the result. 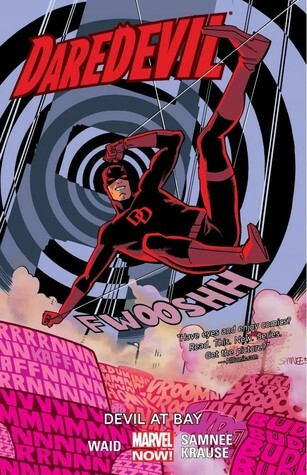 Mark Waid has been writing Daredevil for the last few years with an excellent track record of balancing plot and character with artwork at once distinct from and reminiscent of the stripped-down, acoustic approach of Hawkeye. So when he decided to take our favourite Hornhead cross-coastal from New York to San Francisco, some were notably and not unreasonably concerned. New characters, a different plot and a complete background shift from the high rises of NY to the Bay of San Fran? How could an award-winning, exceptionally gifted and intelligent writer like Mark Waid ever make that work when he’d already been doing such a good job? Truth is, Waid’s new direction on the West Coast is still as tight, engaging and colourful as his East side run was, and the story expectedly maintains the high level of quality his work has generated thus far. Continuing threads from previous volumes do show up while a new trail is blazed for the Devil to solve crimes with a police forensics lab in Frisco, and it’s all a wonderful package of punches, parkour and pleasantness. Oh, and artist Chris Samnee really knocks it out of the park here. Were this book edible, I’d still be satisfactorily wiping crumbs from my face. 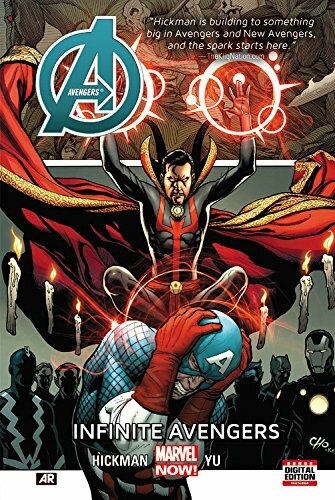 Anyone concerned with the long and languorous middle portion of Jonathan Hickman’s Avengers run need worry no more: we are on track to something big, something bold and something bloody. Honestly, if you’re not onboard with Hickman’s overly-expositional plot and dialogue that uses characters less as defined bodies and more as mouthpieces for spouting narrative mechanics by now, you probably won’t be here. Those of us who are, though, will be rewarded with a prelude to a story that might see brothers-from-other-mothers Tony Stark and Steve Rogers cutting their cords for a while, if all the future-jumping and constant mentions of Stark’s impending and heinous betrayal are indicators. Seeing the future as it will be thanks to Avengers saving everyone from something ominous in the present day is quite cool, and artist Leinil Yu almost brings a bit of a Saga-like quality to the illustrations depicting technological utopias and robotic simulacrums of our favourite heroes. If there’s one complaint it’s that the plot moves quite fast without any room or time for grounding in context or understanding, which will be particularly disorienting for any who haven’t read the previous 5 volumes of Hickman’s run. Even as someone who has I felt a bit lost at times, and the exposition can be laid on thicker than too much Vegemite occasionally. But like I said, if you’re not used to Hickman’s style of narrative by now you’ll probably be a bit deterred from his sixth Avengers entry. And really, I think you’ll want to be onboard with this one. The new Secret Wars, penned by Hickman, starts next year, promising to throw the Marvel universe against a wall and do…something radical to it. So, y’know, get in on the ground floor while you can.